STOCKTON, Calif. (KGO) -- Stockton firefighters need your help honoring two of their fallen heroes. Repeated desecration and vandalism forced the crew to remove a memorial for Brett Laws and Bryan Golden. They died while battling a structure fire in 1997. 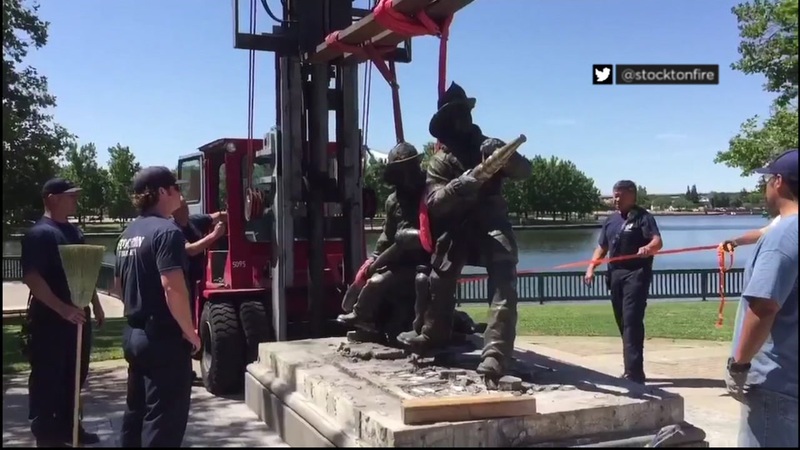 Now the department is raising money to build and maintain a new monument to honor all firefighters who made the ultimate sacrifice in the line of duty. Click here to donate money to the department's GoFundMe campaign.